Napa Valley Media is a leader in mobile live and edited multi-camera high-definition productions. Napa Valley Media offers BMD and Panasonic HD switching capability and can include up to eight cameras to record your event. 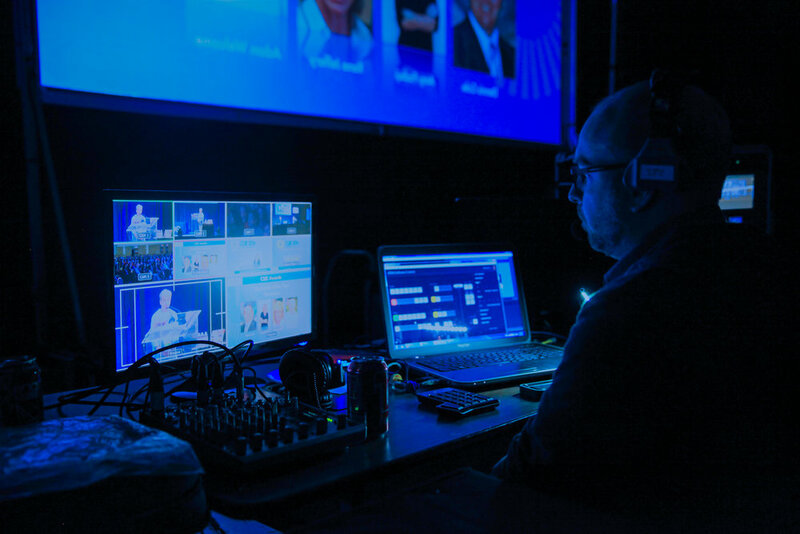 The live switched video output is recorded in an uncompressed HD video file for clients who wish to have a master recording of their event. We utilize Belden SDI rates cabling that can transmit up to 4K Video and have the ability to wireless send uncompressed HD signals with our Teradek Bolt 300 & 500 series zero-delay wireless systems. Napa Valley Media also provides Isolated Camera recording (known as “ISO cam recording”) to provide individual raw footage video files of each camera at the event. This allows full post-production editing capability for projects requiring customized edits from the live event.